Refinancing your home can be a great way to reduce monthly mortgage payments or interest rates – or even pay off your debt faster. 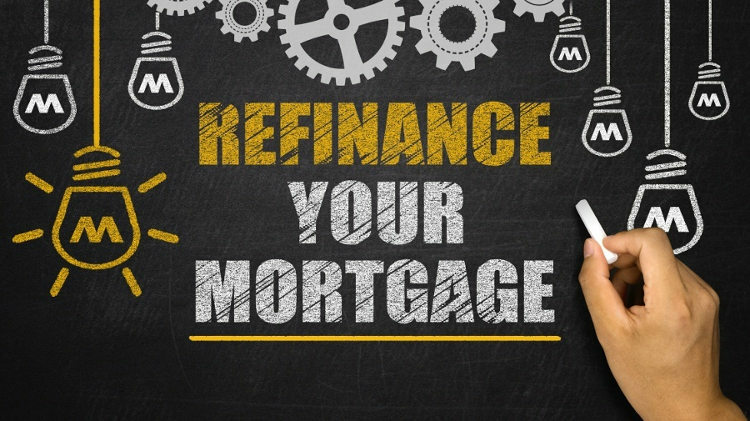 And while it is a useful tool in budgeting for millions of homeowners, a home refinance may not necessarily be useful in every situation – in fact, there are some situations where refinancing can cost you a great deal of money. So when should you skip the refinance and simply keep with the original plan? Here’s what you need to know. When you first start paying a mortgage, most of your monthly payment goes toward the loan’s interest rather than its principal amount. But as you start paying down your mortgage, more and more of your payments are applied directly to the principal. And if you only have 10 years left on your mortgage, the vast majority of your payments are being applied to the principal. Refinancing a mortgage essentially restarts the loan over from scratch – so if your mortgage is mostly paid off, a refinance will put you back where you started and cause you to owe much more money in interest payments. Refinancing can be a great way to lower your interest rate, extend your loan, or get better terms, but it also comes at a cost. Since refinancing essentially starts a new home loan, you’ll need to pay all of the closing costs associated with a new mortgage – and on average, closing costs can total up to 5% of your home’s value. If you don’t have enough cash on hand to pay for your closing costs for a second time, refinancing your mortgage will harm you more than it will help you. If you have a fixed-rate mortgage, you have a great guarantee that your mortgage rate will stay the same. And if you already have a low interest rate, trying to get a lower interest rate will make it difficult for you to break even on your closing costs – unless you go with an adjustable-rate mortgage, which typically has lower closing costs. But opting for an adjustable-rate mortgage is a poor idea right now. Today’s interest rates are at historical lows, which means they have nowhere to go but up. If you refinance with an adjustable-rate mortgage, you’ll end up paying more money than if you simply kept your existing fixed-rate mortgage. Refinancing is often a useful tool, but it’s not always helpful in every situation. A qualified mortgage advisor can tell you whether refinancing is right for you. Contact your trusted local mortgage professional to learn more. This entry was posted in Home Mortgage Tips and tagged Home Mortgage Tips, Refinancing Tips by BJ Kirkpatrick. Bookmark the permalink.